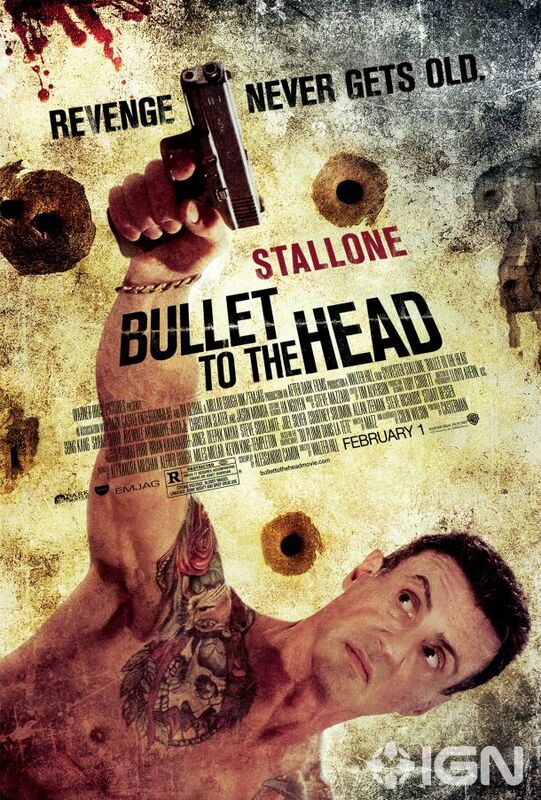 A new poster has been released for Sylvester Stallone's latest action film Bullet to the Head. The movie was directed by Walter Hill and is based on the graphic novel created by Alexis Nolent. I'm always up for a ridiculous looking action movie, and this one has an axe fight, so it's got that going for it! In the film, a hitman (Stallone) teams with a young NYPD detective played by Sung Kang in a high-stakes investigation that leads from dingy back alleys all the way to the power corridors of New Orleans. The unlikely duo, brought together by two vicious murders, take on all who stand in their way, willing to sacrifice everything to exact revenge. The action thriller is set to open on February 1st, 2013 and also co-stars Sung Kang, Sarah Shahi, Adewale Akinnuoye-Agbaje, Christian Slater and Holt McCallany. Check out the trailer for the film if you haven't seen it yet, or if you just need a reminder of what that axe fight will look like.